Originally uploaded by Buffawhat. Taken 10 Jan '07, 7.54pm AST PST. 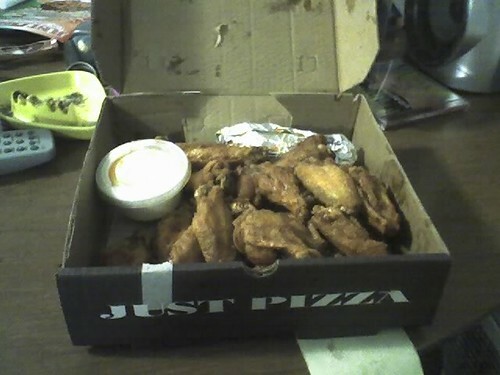 The main course... A double of medium wings from Just Pizza.